That’s something I didn’t think I’d ever say, but I am ridiculously excited! 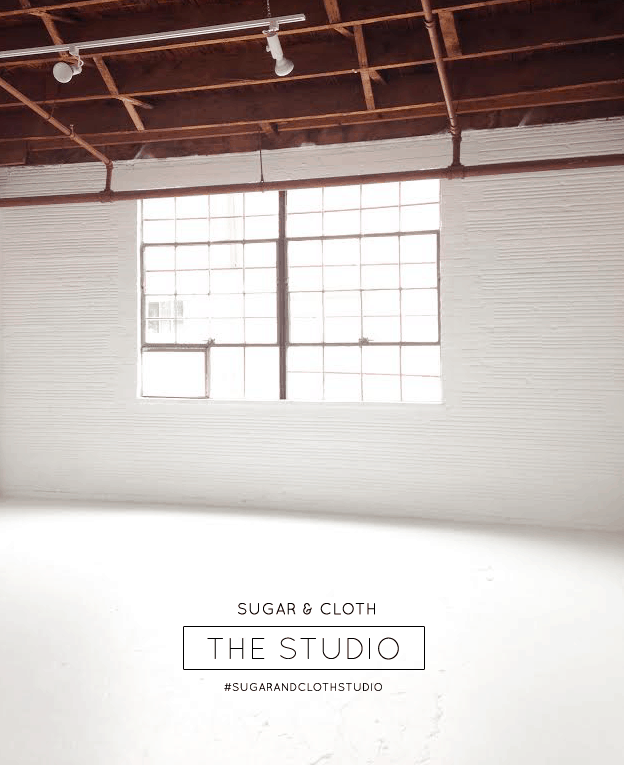 I know it kind of seems like it’s out of no where but the new Sugar & Cloth studio is something that’s been in the works for the past few months, I’ve just been too scared to really say it out loud. Somehow it just seals the slightly scary deal whenever you announce things to thousands of people on the Internet… unless that’s how you roll on Facebook on a regular basis, in which case you’re braver than me. 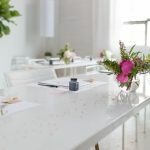 If you’ve been reading my blog for a while, you know that I work at Smilebooth quite a bit and that includes a decent amount of traveling and events. Since I starting writing and creating here two and half years ago, I’ve only ever done it on the side of a full time job. Along with a lot of sleepless nights and many a coffee to go later, I grew to have a modestly successful little space on the internet with Sugar & Cloth but I never actually had any risk in it. Since I’ve always had a full time job to fall back on that also helped pay for the me to be able to keep S&C up and running, it also made it a lot easier to slack off when I was too tired to write a tutorial or if I’d rather go out for ice cream than plan out new projects. All of this brings me to the new studio space. It was something I really had to do. As tiring as some moments have been along the last two years and even as uncomfortable as trying to play happy during rough times, I absolutely love getting to create new things to share with you. That seriously is the only reason that has made it all worth while. If I’m going to try my hardest to make Sugar & Cloth into the best it can be, I’ve got to add a little risk to it and a clean, inspiring slate for new DIY’s, workshops, and a place to host all of the pretty inspirations that you see here (that also won’t involve my cat’s little paws in everything). I’ll be sharing the process of re-doing the space and all of the goodies I’ve got in the works for styling it little by little. If you’re familiar with Houston, the new space is in East Downtown, so be on the look out for local events in the future! Super exciting! Way to go! I’m a Houston local, so count me in for any workshops! This is awesome news! Congratulations! Please let me know if you need any assistance with putting together your new space. Yay Congrats! I actually stumbled upon your blog pretty recently, the first post I read was about your rough times. Glad all the hard work is paying off, its all very inspiring. 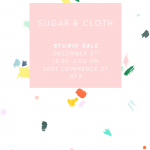 I’m local and love supporting local, so can’t wait to attend your workshops over in EaDo! Good luck!! Congratulation! How exciting!! You’re going to do so many amazing things! Eeeeeek! That white! I’m so excited for you, Ash! Big things are about to happen, let me come celebrate with you! This is definitely one of those WHY DO I LIVE IN FORT WORTH AND NOT IN HOUSTON moments ;) So excited for you!! 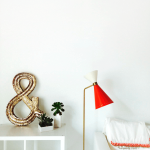 It would be a dreammm to shoot photos for your blog, but especially in that space! I have absolutely loved following your blog & I am so excited for you! Congrats on the new space, enjoy every minute of setting it up. So happy for you!! That studio is beautiful, and those windows? AHH! I’m so glad I found your blog, and just want to say a big huge thank you for putting in all the work you do so we all have something to brighten our days. And if you ever want to bring your little kitty to the studio, I think I speak for myself and the rest of the internet when I say we definitely don’t mind cats. I have only just discovered your blog but looks like you have some great things on here and I am so pleased that you get to do this !! It would be my dream to have a studio like that , the window is amazing you will get so much nice natural light for photography !! Congratulations ! And I will be following from now on to see how the space is transformed ! So exciting, girl!!! Congrats! That space looks AMAZING. Congratulations Ashley ! It looks like an absolutely gorgeous space!! Your dream is becoming a reality. You never gave up on yourself and all of us who follow your unbelievable talent stand behind you and support your new endeavor! So proud of you for taking that leap of faith, and realizing what truly makes you happy is creating, styling, and showcasing your own brand! So happy for you! Houston soon!! Can't wait to see all the amazing things to come. Congratulations!! What a beautiful space, I can’t wait to see where it takes you!! Could I please get your hours of operation?